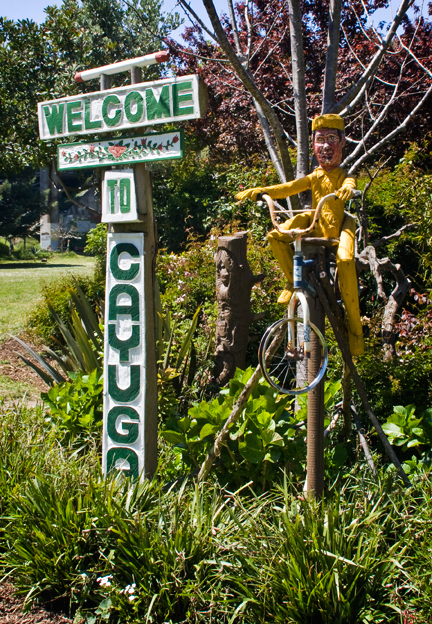 Cayuga Park is the most charming San Francisco park that you've never seen. In 1986 it was a dilapidated, overgrown park on a dead-end street in San Francisco's Excelsior District. The 11-acre park sat nearly unused while overhead BART trains noisily rumbled by. It was then that the parks department assigned former-lawyer turned gardener, Demi Braceros to tend to the park. Braceros took on the challenge to make 'something beautiful' out of the forgotten park. He spent the first year carting away wheelbarrows full of trash and weeds. Braceros then fixed the park's drainage problems, terraced the hillsides, and created some walking pathways. 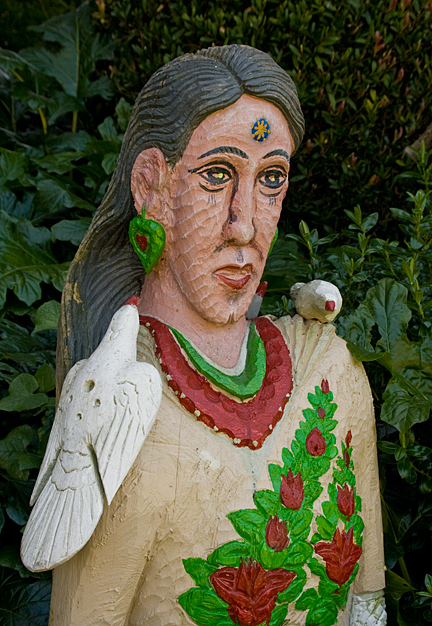 But the most unusual addition to the park were the hundreds of hand-sculpted statues, created by Braceros, that hide in the park's lush gardens and pathways. Using a chisel and chainsaw, Braceros, who emigrated to San Francisco from the Phillipines in 1973, created all the art himself. 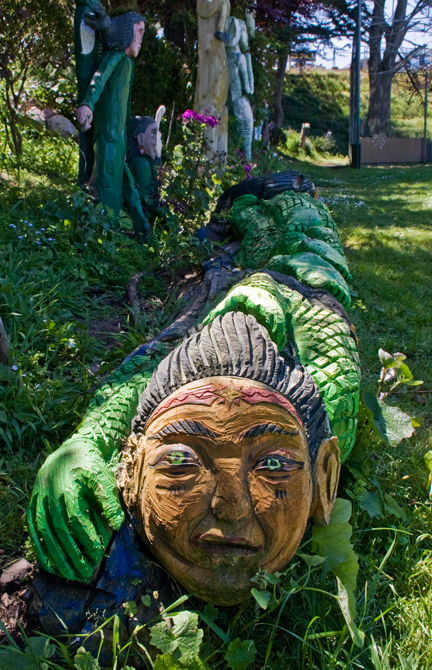 His sculptures range from spiritual to inspirational to local flavor to just plain fun. The park contains totems of Barry Bonds, Willie Brown, Herb Caen, John Lennon, Michael Jordan and Princess Diana. Beside the sculptures, the park has a playground, basketball and tennis courts, a large playing field, and three networks of pathways around the perimeter of the field.